Its name meaning "angry" spaghetti speaks for itself! This simple and easy to make, yet tasty dish is perfect for chili lovers. Although very simple and with few easy-to-find ingredients, this dish is a guaranteed success for everyday lunch or even a dinner get-together with friends. Heat a tbs of olive oil in a pan and then add the chopped garlic and the red chilies (quantity of chilies depends on how much you like spicy, although this dish should be quite hot). Fry until garlic turns shiny (make sure NOT to burn it), then add the tomato sauce, parsley, salt to taste and a pinch of sugar. Make sure to leave some parsley for garnish later. Leave to simmer on low heat for 10-15 minutes, then turn off and leave covered in pan. Once the sauce is on, pour at least 1 liter of water in a stock pot and bring to boil. Once boiling add a scant handfull of coarse salt and throw in the spaghetti. Very important: strictly follow cooking time written on the package, as pasta has to be al dente!! 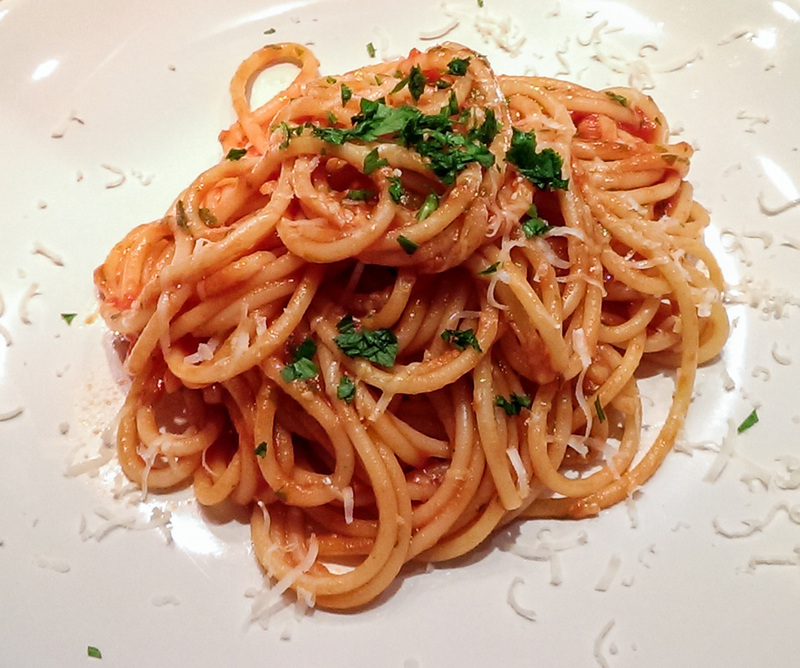 When spaghetti are done, drain the water well and toss them with the sauce in the pan. Add a generous amount of grated parmesan cheese and a drizzle of olive oil.